Meeting Registration will open in late July. Please check back then for fees and full registration information. 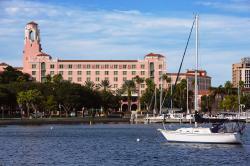 The Vinoy Renaissance St. Petersburg Resort and Golf Club in St. Petersburg will be offering a special rate to all RRM Race Directors' Meeting attendees. Details will be posted here soon so please check back!